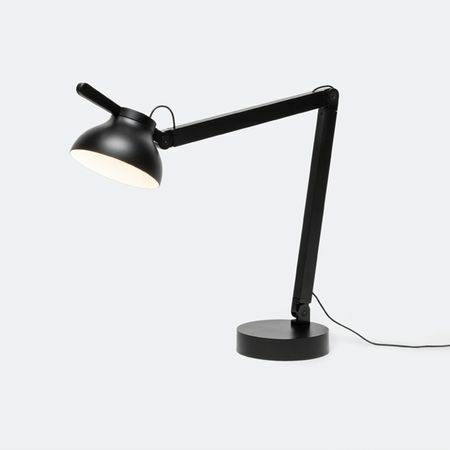 The Sempé w103 b table lamp by Wästberg is meant to be as simple and solid as a nail or a push pin. As with traditional tool machine lighting, the mechanics are sturdy and long-lasting. The lamp combines solidity and lightness, a heavy foot and a delicate shade.